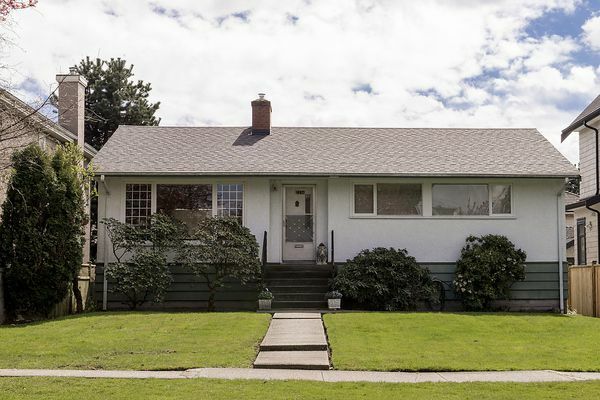 Prime location and a quiet setting in the Arbutus area close to Trafalgar Park, Trafalgar Elementary School & Prince of Wales Secondary School. This 3 bedroom bungalow sits on a beautiful Cherry Blossom tree lined street. A level 50 x 122'RS-1 zoned property. The house was built in 1953 and has been lovingly maintained by the same family since that time.